Below is a simple report that converts raw data to plain language text. The example is of a style that has been dubbed, the Physicians report, as it simply states if a component is found and above a value. If the calculated amount is above the Cutoff amount, a custom “Outcome” column will state that the value is “Positive”, otherwise its “Negative”. It also has a custom column, that will display the calculated amount if the value is above the Cutoff and a peak was detected. 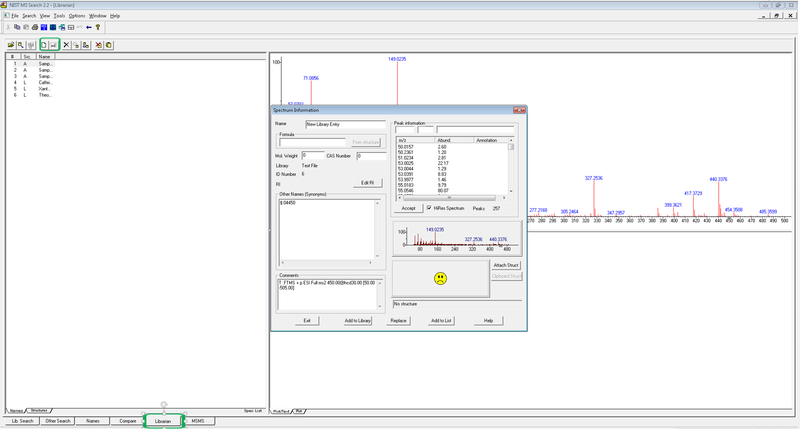 If a peak is detected, but the value is below the cutoff the cell will display “< Cutoff”, otherwise if a peak is not detected it will display either NA or NF. It simply takes the calculated value and compares to the LOR (Limit of Reporting) value in the method if is equal to of less than the set limit it will show “<Cutoff”, otherwise it will report the calculated value. The script for the “Outcome” column is very simple. For the function of the LOR flag to work in the case of all reports, the setting to report a value above a set limit and not to show components that didn’t meet that criteria, two setting mu be activated in the method as shown below. 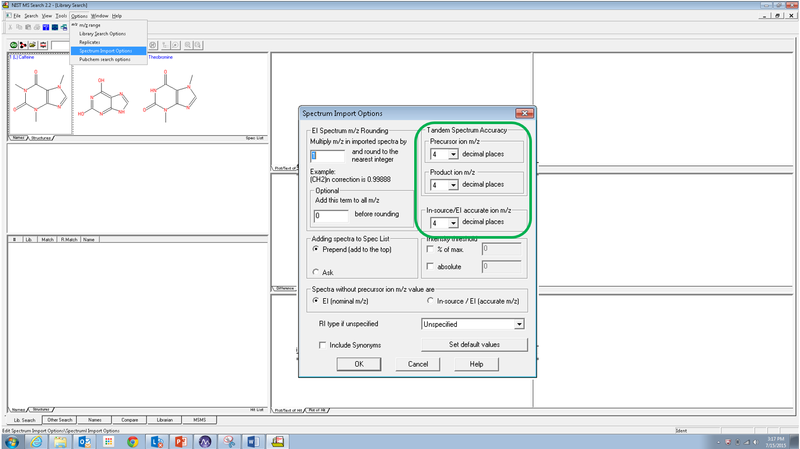 The setting in the table filter text field limit the reporting components in to only be Target Compounds and not display Internal Standards. 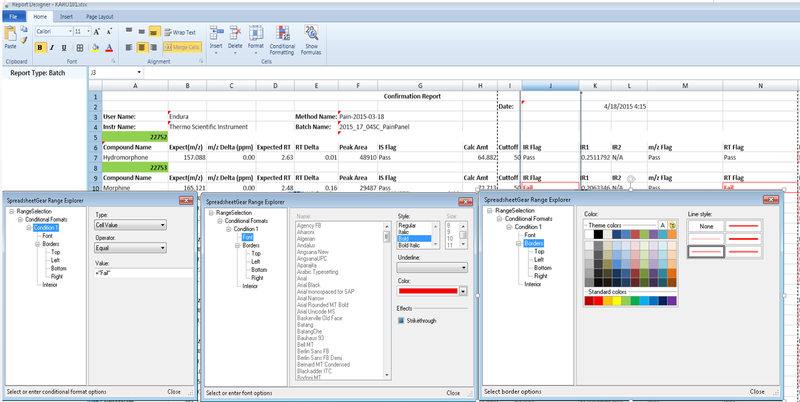 TraceFinder has a Excel-like report template creation tool. It was first introduced as a plug-in beta release in TF 3.1 and a final product in TF 3.2. After feedback from the user based we made some modifications that should allow for easier template editing and creation. The more feedback we receive the better we can make this tool in the future. The example below goes into detail how to create some very custom data table information and flagging. This includes taking values that are stored as numbers or TRUE/FALSE text and changing then to read PASS/FAIL with highlighted, bolded and color changed text. It also includes setting up test range criteria for the information to be flagged against without the number having to appear in the data table as being read directly from the results table in the batch to give the PASS/FAIL flag. 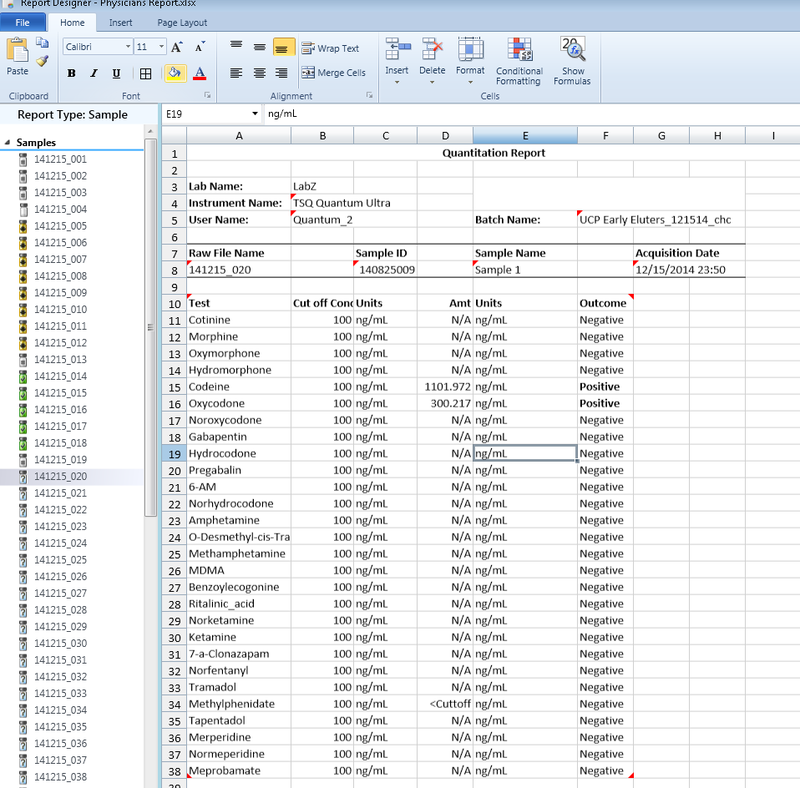 The report is a Batch report that shows only compounds that were found to be positive in a concentration above the limit of reporting used set in the Master Method template. It uses typical fields in the header and contains a blend of regular data columns and custom columns in the table. It is separated by the Sample ID as a line unto itself between each set of sample results. Below is shown the data fields used to create the table. 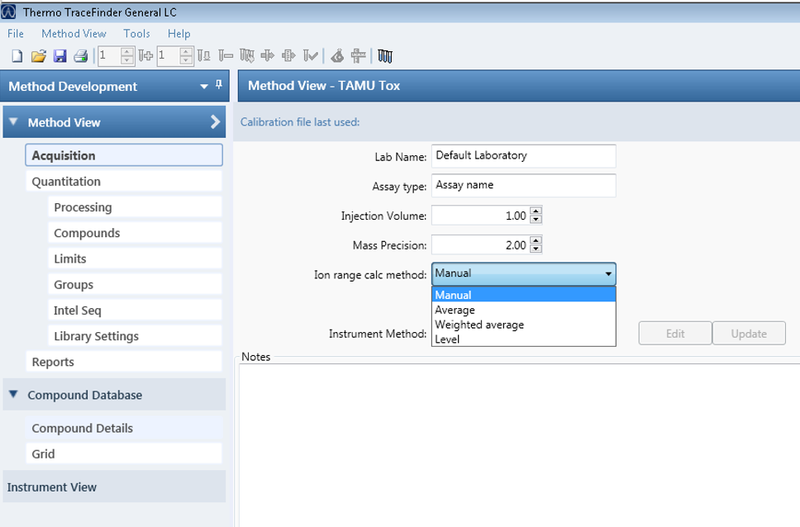 The statement in the Table Filter ensures that only compounds that have result greater than the Limit of Reporting (LOR) value, set in the Master Method template, will be displayed in the report. Setting the sorting by the Sample ID and having it be the top most data field in the selector, allows for that value to be used as the Repeat Header Per Group field. By unchecking the box, the field won’t display on the row, but will appear in the separation row above only. The listings below are the custom fields created to do the special flagging a show data. If you notice these are all the same small scripts that you would use in Excel to create the information. The difference is that the underlying individual results don’t have to be on the sheet, in a hidden column or a second worksheet. It just reflective of the results in the batch. 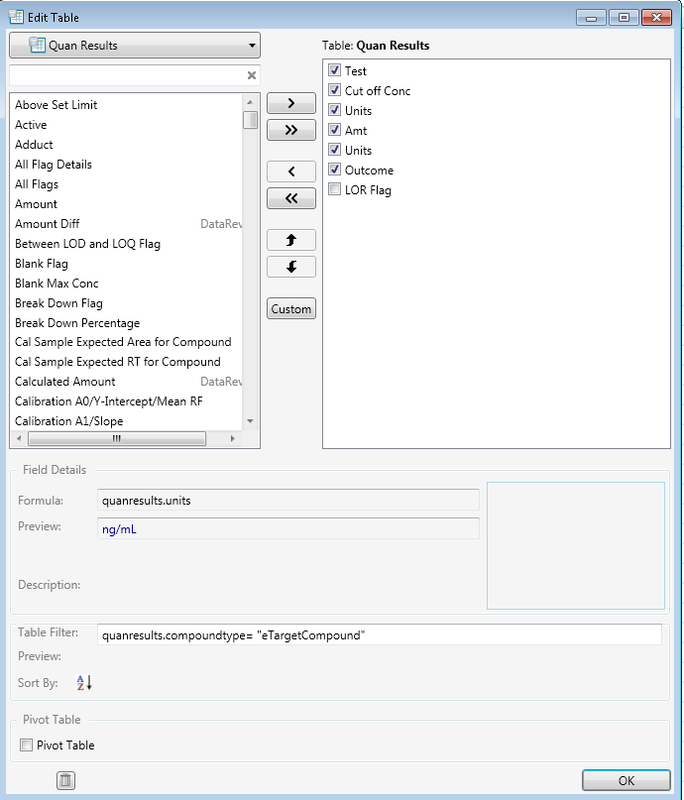 The functions are entered into the Formula text cell when the data field is selected. The way these statements work is whatever is designated as the “=” state(True or False) the first text will be set to display for that state. All other states will render the second text. To get the data field to use in the functions below simply click on a data element in the selector, highlight the text in the Formula cell and copy/paste it into a custom column’s formula text field and then edit the function around it. This function looks at the internal standard out of range flag. 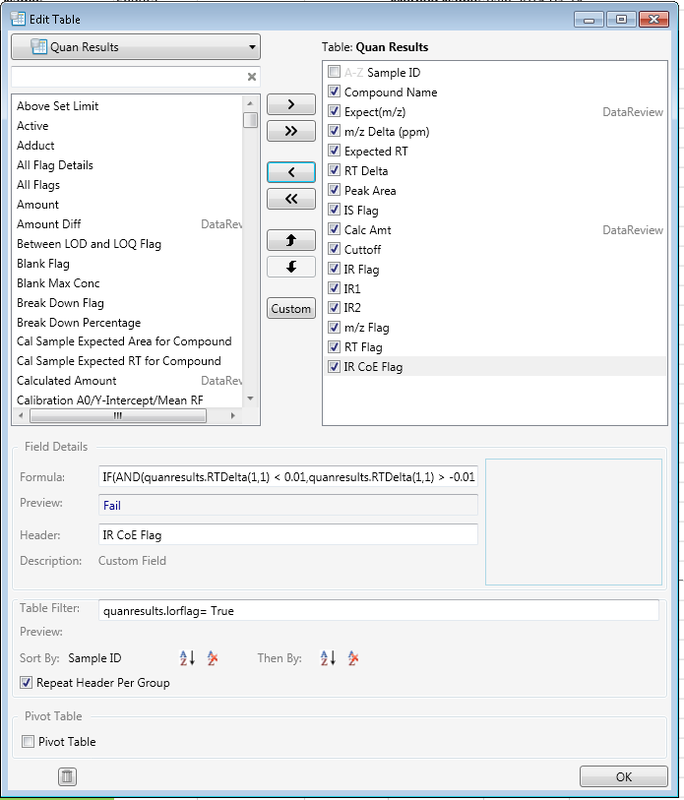 It creates the condition that if the flag is FALSE, meaning it is not indicating a failure of the flag criteria, the show “Pass” in the cell. If the flag is TRUE, meaning that the criteria indicates it has failed, the show “Fail” in the cell. This function shows that if the Ion Ratio criteria has been meet by all confirming ions then the flag will be False. This state will then display “Pass” in the cell. If the flag is True then “Fail” will be displayed. The way these statements work is whatever is designated as the “=” state(True or False) the first text will be set for that state. All other states will render the second text. One limit of the tool is that the table builder can only natively create one column for a set of information. 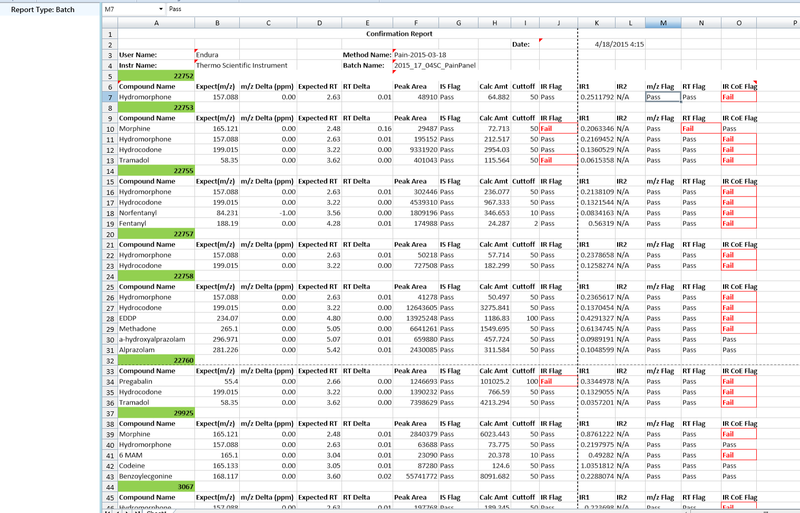 However, you can create a custom column to show 2nd, 3rd, etc… of a data entry. One instance of this is a second confirming ion ratio. The setting (1,2) will display the result for quantitative peak 1, confirming peak 2. This function sets the high precision number of the delta mass, derived from the expected mass minus the actual measured mass, which is always an abolute number, to display “Fail” if its greater than 2.5. If not or less then display “Pass”. This function declares with the ABS statement that the RT delta result number which can be positive or a negative number will be evaluated by its positive equivalent. If it’s greater than or equal to 0.06 then display “Fail”, in all other cases display “Pass”. This function combines two conditions the value of these two confirming ions, designated by the values (1,1), must fall outside these two conditions to display “Fail”, if it falls between them then display “Pass”. Lastly I set conditional formats for each column separately for the custom flagging that if the cell value was “Fail” that it would change the Font to bold and red and the borders of the cell red. 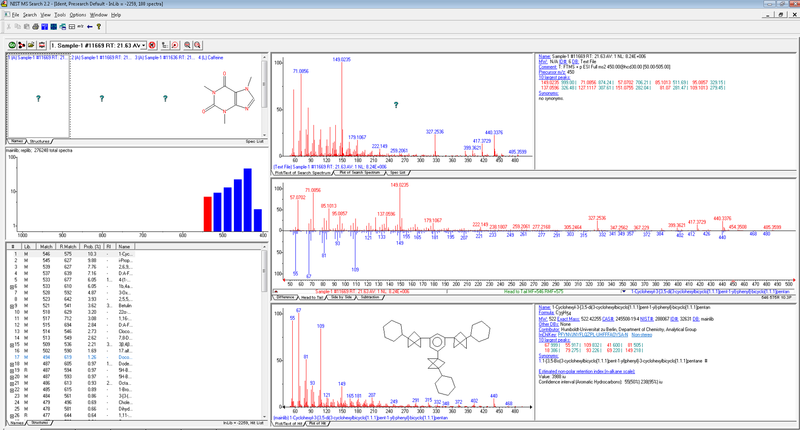 TraceFinder 3.3 utilizes both the Thermo Library Manager and NIST 2014 HRAM library search system for confirmation and identification of found chromatographic peaks. To support the creation of HRAM libraries with NIST 2014 there are a few things to setup. First, acquire NIST 2014 from a NIST distributor. Thermo has the rights to distribute via purchase this application. Also, FreeStyle 1.1SP1 will be needed. Once installed there you must set up the spectra import default settings to match the decimal place criteria you plan on using for the type of data contained in your RAW file. Next you must have Thermo FreeStyle 1.1SP1 installed. Then you must set up two settings for data export to NIST. Under the File menu, select File there is an OPTIONS button to click on. Then select Mass Precision and set the number of decimal places for the data type you will be using. Next select the Library Search option and set the default to be MSMS or In-Source. The next step in the process is to open the data file(s) you want to use to create library entries. 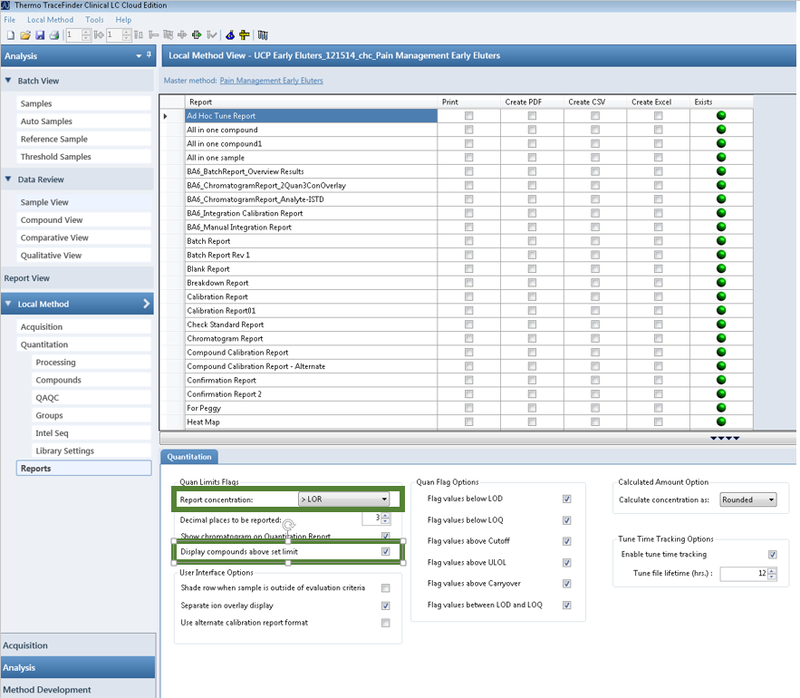 Select the Workspace Processing selector and click the Library Manager button. Select the Library you want perform an initial search against. This must be done even if you are creating your own library. 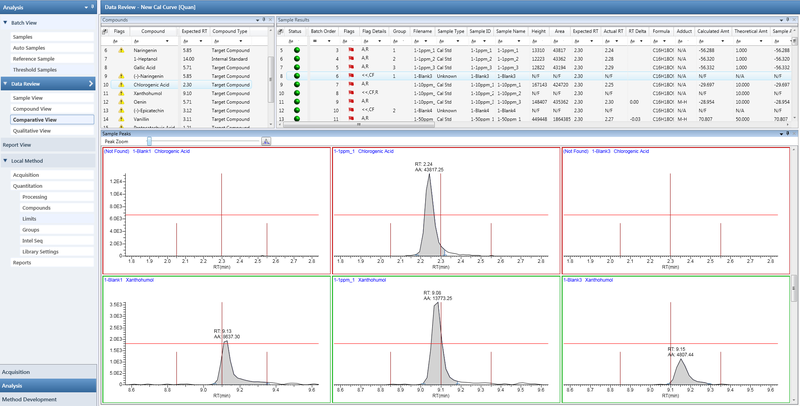 This is followed by working up your data to reflect the spectra you wish to utilize and then clicking the Export to NIST button, while the spectra panel is highlighted. The NIST search panel will open and display an initial search result. 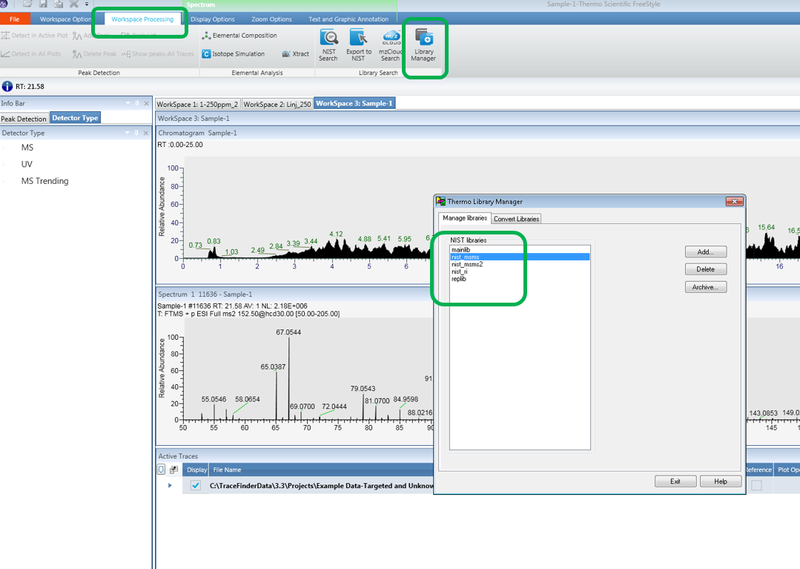 Next select the Librarian tab on the bottom of the screen and select edit button in the middle toolbar to open the editing panel; make adjustments such as changing the name of the spectra to be entered. Then select the Add to Library button finalize with the library file selection. 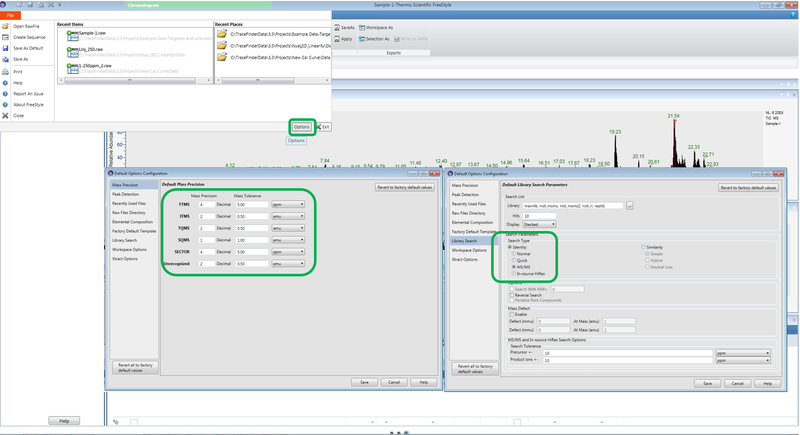 TraceFinder has an option to allow the user to set a reference compound to assist in corrections of retention time drift. The feature is the same implementation that has been a part of the Xcalibur feature set for over 20 years and is well characterized. The user simply selects a checkbox in the RT Reference compound column of the Method – Identification tab. This sets the compound for use in linking other compounds to its found RT. To set a compound to use a RT reference compound, simply select a RT Reference from a dropdown selector in the same definition grid. The typical use of this feature is to set your Internal Standards as RT Reference Compounds and then link the nearby eluting components to the Reference Compound. Also, the IS retention time peak detection window is set a little larger than the target components to allow for detection if a large RT drift occurs. When the RT reference is detected the difference, whether + or – in time are adjusted in the connected compounds. This new RT is specific to each compound in each sample. Therefore it is not reflected as a change in the method because the method is set as a batch level setting. The compound using the RT reference must have an original expected retention time to be adjusted, it cannot be left as zero for this feature to work.